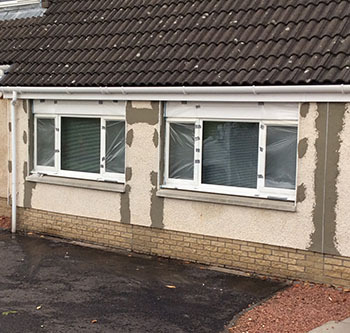 No matter the state of disrepair of your previous render or plastering job, we guarantee we can have your property looking as good as new. We are so confident in our work that we offer a ten-year guarantee, non-insurance backed guarantee certificate. Do you have an urgent need for a plasterer? Pick up the phone and call 0141 946 9795 or fill in the adjacent online enquiry form for a free consultation!